We have been serving our clients with the finest tattoos and piercings in Denver since 2006. At our shop, you will find everything you need for getting pierced and tattooed by a very talented artist. 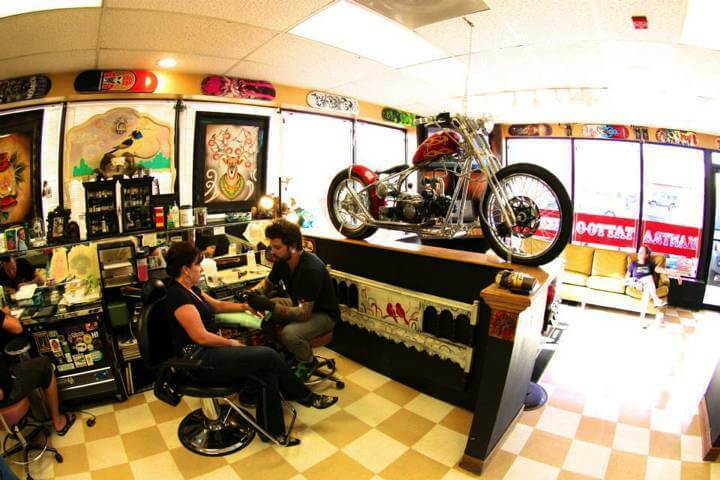 No matter if you are a visitor in town or live in the Denver area, we have the finest tattoo artist ready to design and ink your customized tattoo. At our Denver Tattoo Studio, we like to do things right, and we combine our knowledge and talent to provide the best service to our clients. Come to the best tattoo shop in Denver and get tattooed or pierced with the most talented artists that really know what they are doing. If you need help with your tattoo design, they will definitely help you bring your tattoo idea into life and only when you are absolutely sure that the tattoo design is what you want, they will proceed to ink it on you with high-quality tattoo supplies. Visit us to get your custom tattoo design. We will create the design from the ideas you bring, and work with you until your perfect tattoo is ready to be inked. Or come by to pick out a beautiful piece of body jewelry and get pierced by one of our professional body piercers.